Any good attorney will advise you to put your contracts in writing. That’s good advice, but its effects are more practical than legal because with only certain exceptions, an oral contract is just as enforceable as a written one. Golden v. McKim, 37 Nev. 205, 141 P. 676, 678 (1914). Whether an agreement is a “valid contract” does not normally come down to whether the contract has been written down. In fact, there are just a few scenarios where a contract, to be enforceable, must be in writing. If a contract is oral, and does not fit into these categories—called the statute of frauds—it likely will be enforceable. The statute of frauds originated in Great Britain in 17th Century. In that era, if you were a party to a contract (or the spouse of the party to a contract), you could not testify at a trial where the dispute was over the contract. One unintended consequence of this rule was the frequent use of witnesses to perpetrate fraud, i.e. testify as to what the terms of the contract were even though the witness had no firsthand knowledge of the contract’s terms. contracts for the sale of goods for at least ten pounds sterling. In and after 1677, if a party sought to enforce a contract that fell within one of these six categories, the court would throw out the case for want of a valid contract. The statute was meant to (1) decrease fraud upon the court, (2) warn contracting parties to be cautious about entering into these kinds of agreements, and (3) educate negotiating parties regarding when their contract is formed. When the U.S. declared its Independence from England, it adopted English common law, which has since evolved into the laws we have today. Included among the adopted laws was the statute of frauds. Ironically, England has all but done away with its statute of frauds—the only remaining vestige is the requirement that a contract guaranteeing the debt of another be in writing. All other contracts, whether written or oral, can be enforced in England. A contract for the sale of goods for the price of $500 or more. These rules are not necessarily as straightforward as they seem. For example, the requirement that a contract for the sale of goods for the price of $500 or more does not apply the same if the parties involved are merchants than if they are not. And once the goods have been accepted and then either received or paid for, that is sufficient evidence even absent a writing. The reason lawyers tell their clients to always put their agreements in writing has to do with the practicality of proving terms of a contract that aren’t written down. With a written contract, there is no better evidence than the contract itself, whereas an oral contract is subject to differing perceptions, fading memories, and the credibility of witnesses. And because memories fade much quicker than ink, the statute of limitations for an oral contract is only four years, whereas a party has six years to bring a claim for breach of a written contract. 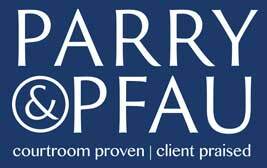 If you’re not sure if your contract is enforceable give Parry & Pfau a call. Newer PostHow Do I Know if I Have a Good Case?